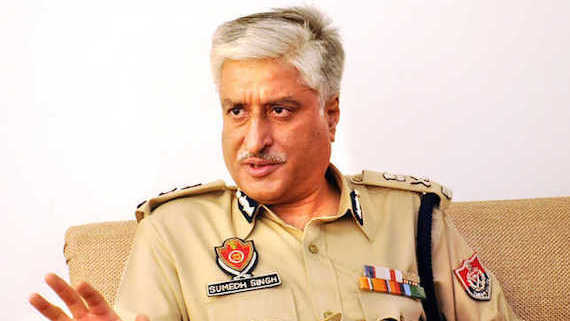 Chandigarh: Former Punjab DGP Sumedh Saini had approached the Punjab and Haryana High Court yesterday seeking High Court’s intervention to get the investigation Behbal Kalan firing case be handed over to CBI or any other agency not belonging to the Punjab state. The High Court heard his matter today (Oct. 11) and granted him interim relief directing the Punjab government to put him on seven days prior notice in case the government wants to proceed against him. The high court also put Punjab government and the CBI on notice for November 28 on Sumedh Saini’s petition. The details of Sumedh Saini’s petition and today’s court argument, as detailed by an English vernacular in its online edition reveal that Sumedh Saini is using same mala-fide plea to his defence that he had used to get the proceedings of a CBI case against him trashed by the Supreme Court of India in a questionable manner. Sumedh Saini is alleging that he had filed cases against present Punjab CM Capt. Amarinder Singh and various leaders and workers of the Congress party when he was head of Punjab vigilance bureau and therefore Punjab government has mala-fide (bad intentions) against him. 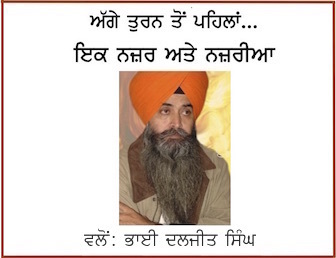 Saini had used same argument when Justice Mehtab Singh Gill of Punjab and Haryana High Court had ordered filing of an FIR against him in a case related to enforced disappearances and secret killings of three persons. The High Court’s direction was in wake of an investigation done by the CBI in which the investigation agency had found that there was enough evidence against Sumedh Saini in that case. Saini had taken a plea that Justice Mehtab Singh Gill had mala-fide against him as he had probed some against the judge when he was chief of Punjab vigilance bureau. Not only this, Saini had raised same objection against various Judges of the Supreme Court of India to whom the case was allotted for hearing. Ultimately the case was heard by the bench of Justice B. S. Chauhan on the suggestion of Sumedh Saini’s counsel. Justice B. S. Chauhan nullified the High Court order directing CBI inquiry. The SCI judge had also turned blind eye to the findings of the CBI that had pointed towards’ Sumedh Saini’s involvement in a serious crime of triple murder. [ → READ MORE AT: TWO DECADES OF IMPUNITY: SCI SET ASIDE CBI PROBE AGAINST POLICE OFFICERS ACCUSED OF PRACTISING ENFORCED DISAPPEARANCES ]. 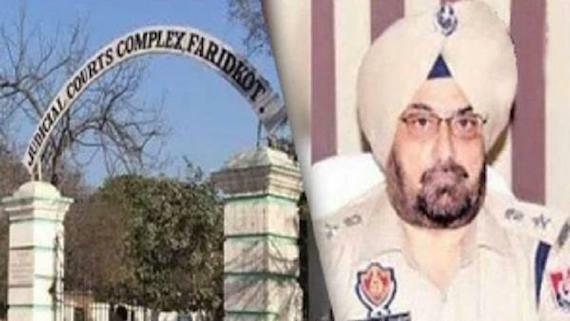 It is notable that Sumedh Saini’s role in Behbal Kalan firing case is identified by Justice Ranjit Singh Commission. The Commission on record recommended action against Sumedh Saini and other police officials whose role had emerged during the probe. Lack of political will on the part of Punjab government has made way for policemen invoking stays from the High Court.